Illustration shows jacket with yoke and inverted pleat in back. 1) mark position for seam in front above breast point trace back; then draw new center back lines. make neck dart in back. reduce at waistline. 2) swing upper part of front to within 1/2" of straight dotted line; then trace. divide front into two parts below breast point; then reduce at waistline. 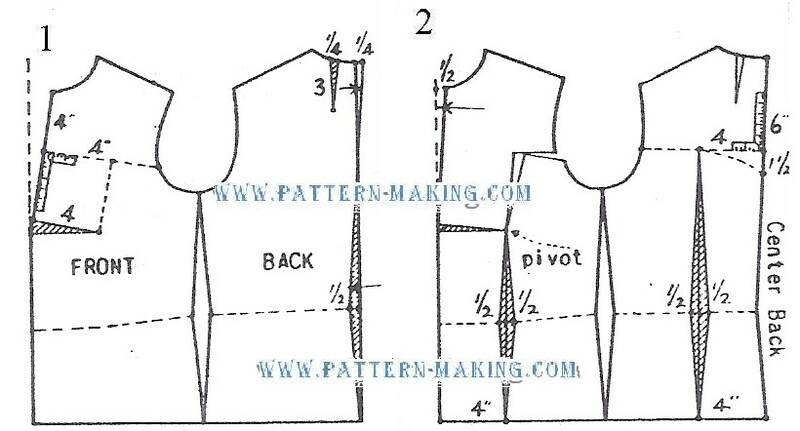 draft yoke in back and reduce at waistline.